Whale Gusher 30 Manual Thru-Deck Bilge Pump. The largest capacity Whale manual bilge pump is the double acting Gusher 30 which can pump over 117 Ltrs (31 US gals) per minute. Twin diaphragms ensure the pump continues working in the eventuality one diaphragm fails ensuring reliability. The pump is made from corrosion resistant, power-coated, die-cast aluminium alloy protecting it for a long life in harsh marine conditions. 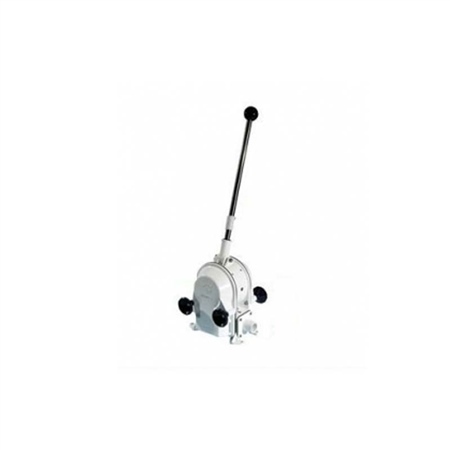 Gusher 30 is suitable lifeboat pump with MCA and USCG approval ratings. Whale Supersub Smart 650 Pump 12v D.C.